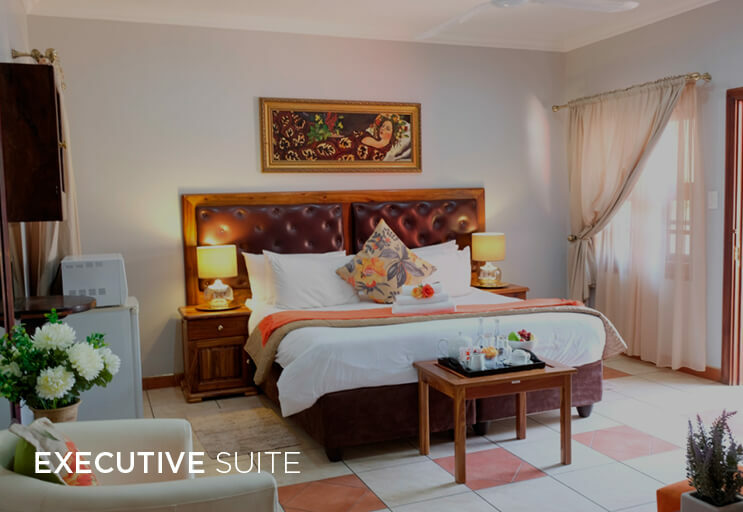 The King Suite features a king sized bed, two en-suite bathrooms, an outdoor shower, a walk-in closet, a 65 inch flat screen HD television, a desk and a private patio. 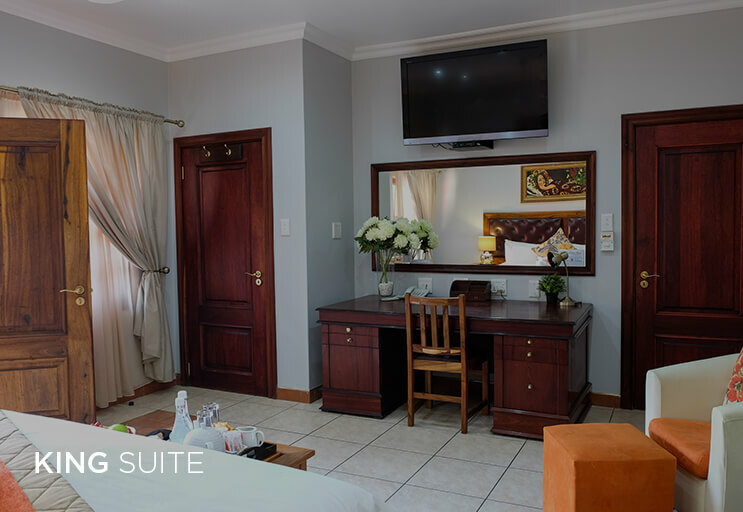 The Executive Suite features a king sized bed , en-suite bathrooms with spa baths, a flat screen television, a desk and are located by the swimming pool. The Family Rooms feature two beds, a queen sized and a ¾ bed. 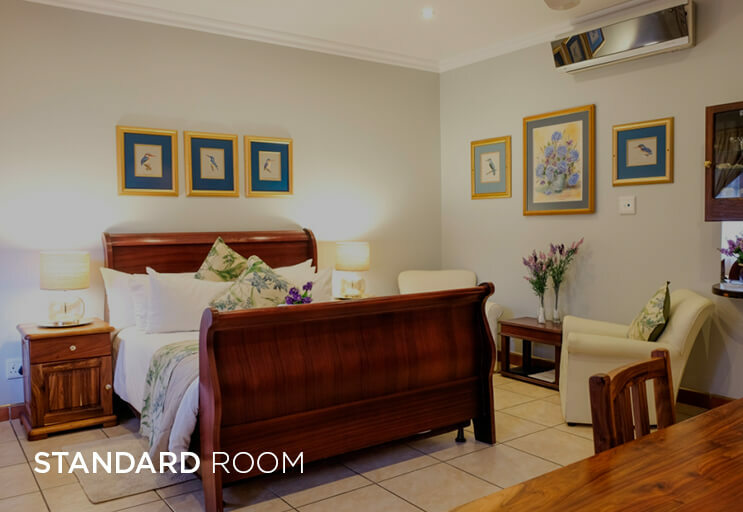 There is a family room with which features three beds, a queen sized and two ¾ beds. 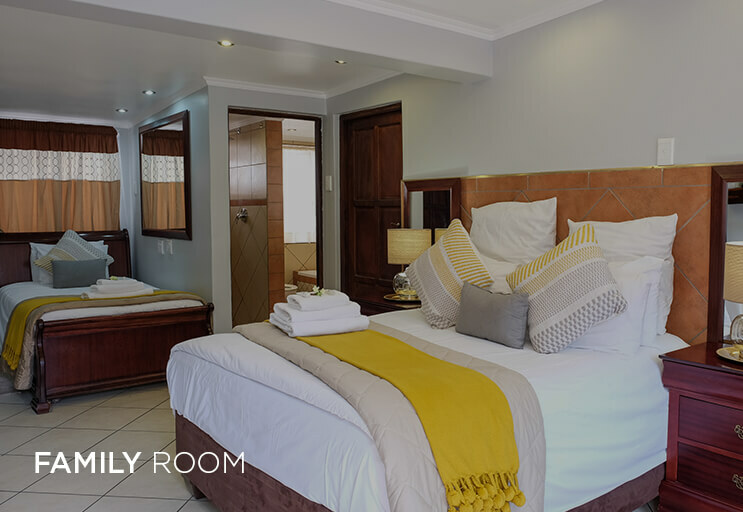 The rooms also feature en-suite bathrooms, flat screen televisions, a desk and some with garden views. 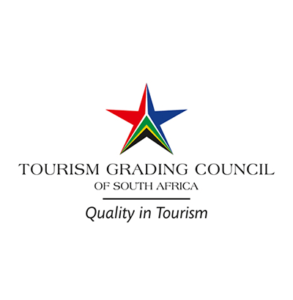 The Standard Rooms feature a queen sized bed, en-suite bathrooms, flat screen televisions and a desk. 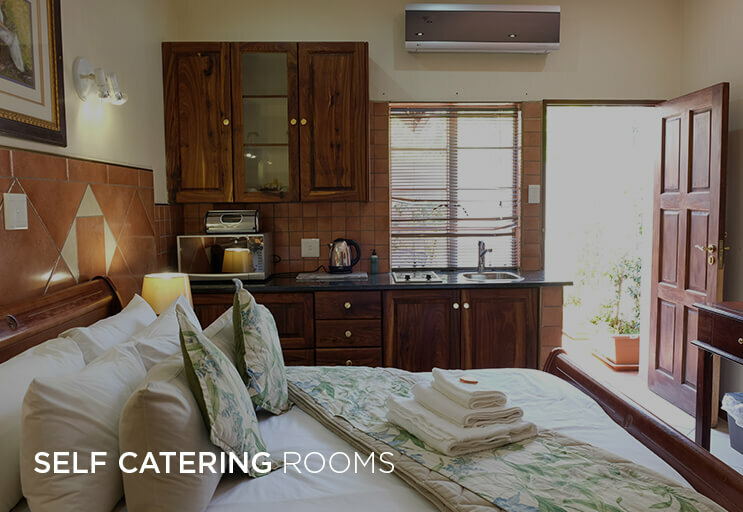 The Self Catering Rooms feature a queen sized bed, en-suite bathrooms, some rooms with spa baths, flat screen televisions, a desk, a kitchenette with a table top stove, fridge and crockery and some rooms are located by the swimming pool. 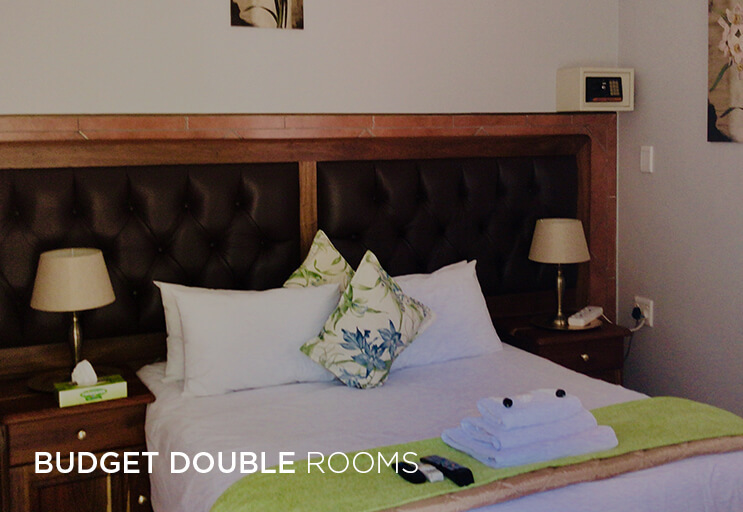 The Budget Double Rooms feature a double sized bed, en-suite bathrooms, flat screen televisions and a desk. 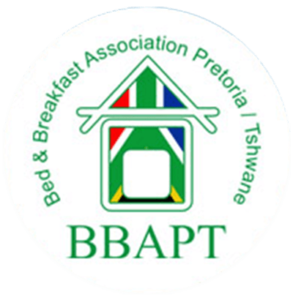 Address: 445 Albert Street, Waterkloof, Pretoria, 0181. Gauteng, South Africa. 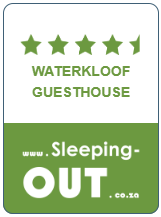 Waterkloof Guest House is private property and right of admission to the grounds and premises is reserved. Electronic surveillance is employed on this property. 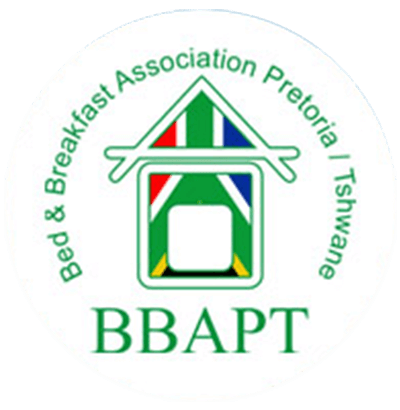 All persons who enter and remain on the premises do so entirely at their own risk and indemnify the owners, and/or their staff or employees and/or representatives against any loss of whatsoever nature, inclusive but limited to: a) personal injury. b) damage to property and loss of property. c) any other incident, event or circumstance that may lead or result in loss.